I was really excited to be invited by Cover Fx to go along to their counter in Harvey Nichols in Edinburgh to meet with one of their make up artists and find out a little about the brand. I have wanted to give Cover Fx a whirl for a long time after hearing about their foundations and concealers and how good they are for covering hyper pigmentation, acne scarring and other imperfections- all things that bother me about my skin! That was a couple of years ago, and since then I have noticed the company mentioned me and more in various magazine articles and blogs so I was keen to try some of the products out. Lee Graff, the woman at the helm of the company has worked as a corrective make up specialist since 1985 and since then has been developing the brand along side a chemical engineer and a leading dermatologist. preparing to make me over! This desire to really help people with conditions they suffer from and the psychological problems that can go along with that, is something that really came across to me when meeting counter manager and make up artist, the very fabulous Eduardo. I was impressed and touched to hear his passion for not only for the brand but providing a complete service to anyone who comes by to enquire. He was very dedicated to making sure that anyone looking for help with concealing or covering a skin complaint leaves the counter with exactly what they wanted along with the knowledge of why it will help and how best to apply it. Seeing someone genuinely care that you feel good about yourself is not something I feel you actually get at a lot of at make up counters. In my experience most are all about the hard sell and what colours/finish they are choosing for you, not what you actually want. Cover Fx's counter couldn't be more different, watching them at work you could see they weren't hurrying to get people off the chair, or putting pressure on to buy a whole host of products they might not need or really want. look at all those shades! ﻿ On to the products, I was AMAZED by the colour range- I had no idea they did their foundations in 30, yes 30 shades. It was incredible to be see decent dark shades for black skin, and wonderfully light colours for the fair. With so many shades there is definitely something to suit everyone and I love that, seeing as some companies even at the higher price end still only run with a limited selection of very yellow shades this is a refreshing sight. With the vast array of other products they stock, there was so much to see and play around with. One thing I had heard loads about was their primers, and I can see why, they have 3 types of primer, a lip primer and an eye primer that all felt amazing. My favourite one 'Briteprep' has an SPF 50 which is perfect for me! A primer with good high SPF is exactly what I had been looking for last summer. Primers, foundation and lipgloss oh my! Eduardo did an amazing job, it is the best I have ever felt coming away from a counter before. I looked like myself but a LOT better,my skin looked healthy, natural and properly glowing, but with all my imperfections that bother me well concealed. It didn't look thick or masky, and it felt really comfortable to wear. Better than that I wore it to the gym later that day and then took snaps afterwards and it still looked in great condition! Longevity like that is such a wonderful thing in my eyes, I don't need it to last days and days like some seem companies seem to claim nowadays, just one that lasts the whole day and last well without getting patchy or shiny. Not only did Eduardo apply some gorgeous looking make up but he shared some excellent application tips that I had never heard of before, that I have been trying out since and have really helped my make up looks its best. You must go in and meet him if you are ever in Edinburgh! not the best light in the world but hopefully you can see all the pigmentation is all gone! And there it is after a whole day AND a session in the gym- pretty darnn good still! Thanks to Cover FX and Eduardo for such a lovely meeting! 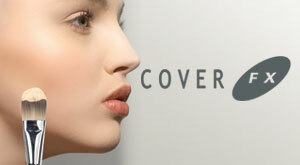 Have you ever dabbled with Cover Fx products? I haven't tried their stuff because I don't feel i've heard/read enough about them. The results do look great, however. And of course, a wide color selection is a must. Thanks for sharing!